This week was dedicated to installing the new roof and I feel so much more at ease knowing the house is finally undercover. Surely it's going to rain sooner or later - we certainly do need it. 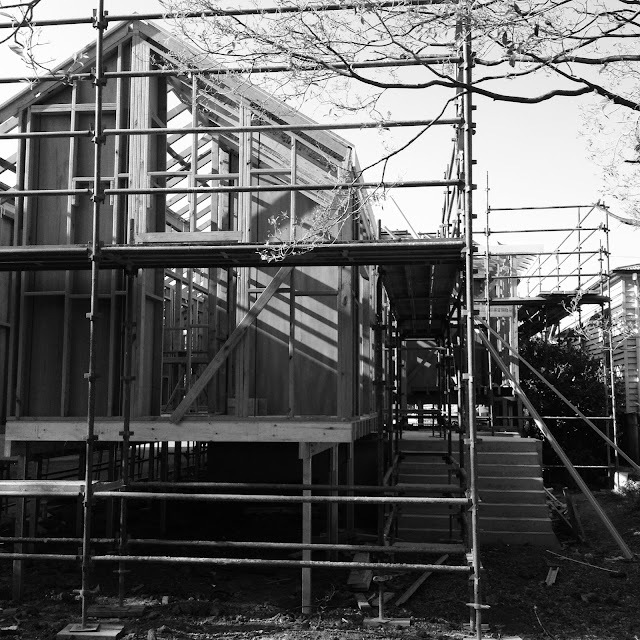 Battens were fixed into position, new eaves gutters were installed, roof insulation was rolled out and the new zincalume roof sheeting was screwed down, which heralds Phase 2 of 'de-greening' the cottage. 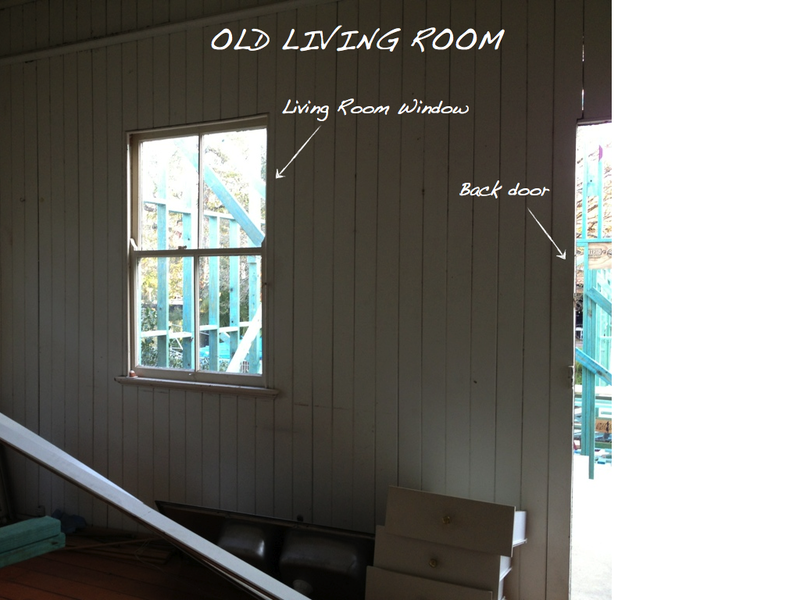 (Phase 1 was the removal of the 'heritage green' battens from underneath the house.) Phase 3 will entail painting over the existing, you guessed it, 'green' weatherboards which now looks like it will happen sooner than we initially expected. Since the scaffolding is already in position, it makes sense to strip the old flaky paint from the external timber weatherboard and VJ cladding and give it a new coat of paint. I'm still in the process of locking-in the lighting fixtures which includes the pendant that will hang above the dining table. I do love the entire range of George Nelson Bubble pendants, but I'm thinking about hanging something very simple here now. I don't want a large 'look at me' pendant to compete with the lovely details that are planned for this room. Plus I really do need to keep a lid on costs. And I've made a last minute decision to keep the original bakelite light switches in three of the original rooms as any new electrical work will be messy due to the single-skin walls. I just love how they 'click' but more importantly I would prefer to keep these rather than having a strip of conduit running down the wall to meet a new switch plate which is generally how new cabling is housed in these old girls. The switches look a little shabby and are covered in layers of paint, but they should clean up nicely. 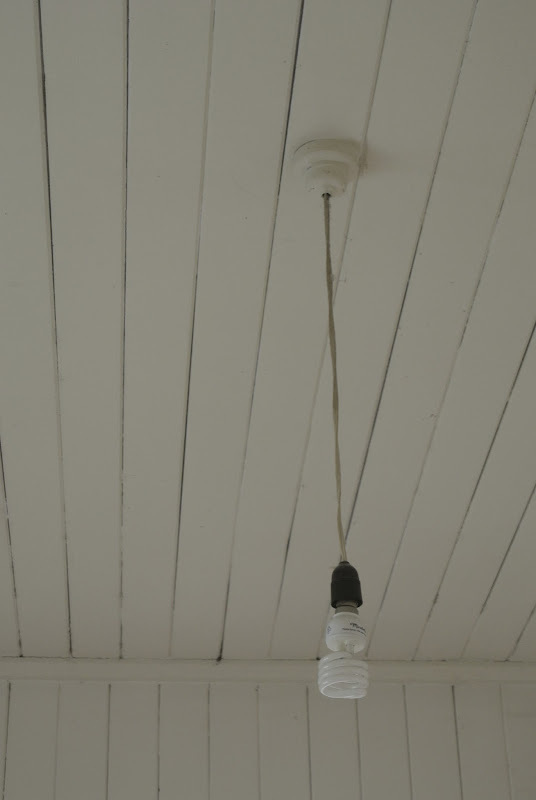 I am also proposing to keep the bakelite pendant fittings (again covered in paint) and just replace the cords with ones that are longer so that they can be draped over a hook. New cord + decorative bulb = big saving. Any tips/recommendations on the best way to go about restoring bakelite? Next week the plumber and electrician arrive to commence the electrical/plumbing rough-in. Also next week the bricklayers return to make a start on the brick walls, floors and stairs. 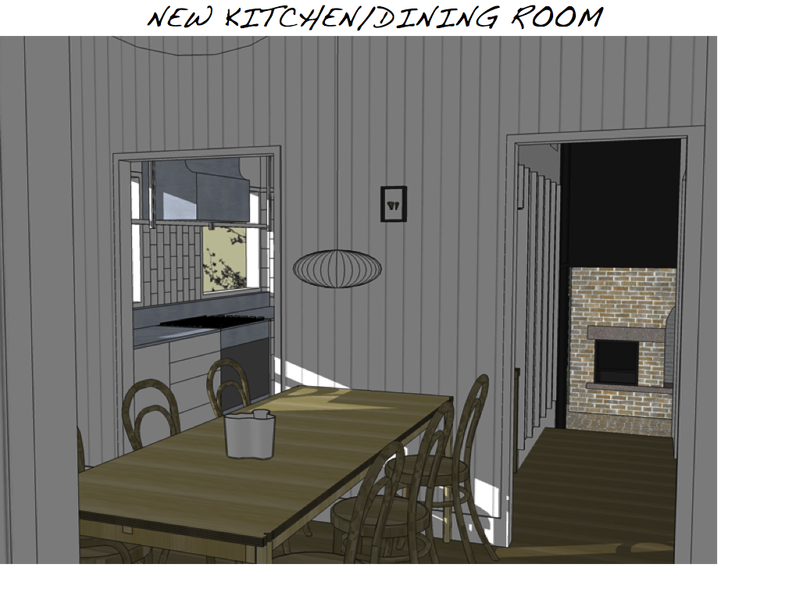 I'm really excited about the brick selection and I'm definitely looking forward to seeing the terrace and outdoor fireplace come to life. This element of the scheme won me over from the very beginning. It's great to see your plans come to life in your diagrams and photo overlays. So clever! 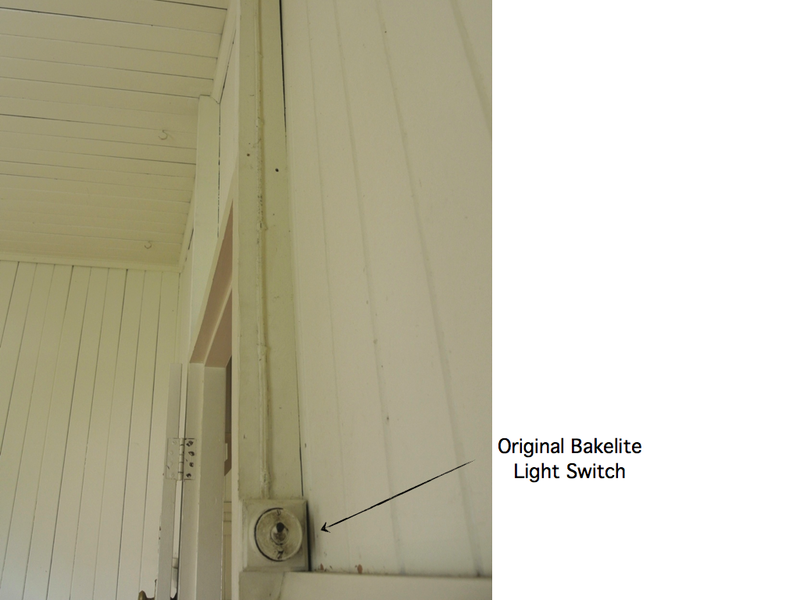 Good call on keeping the bakelite switches to avoid the unattractive conduit. The addition of paint and brickwork next week should be very exciting! Love love love the pendants. Found something similar for the book nook just for fun with some Edison replica bulbs to complete the look! I am really enjoying ready about your renovation and love everything you do. We're keeping the bakelite's too, I agree with you - they give the most satisfying click! 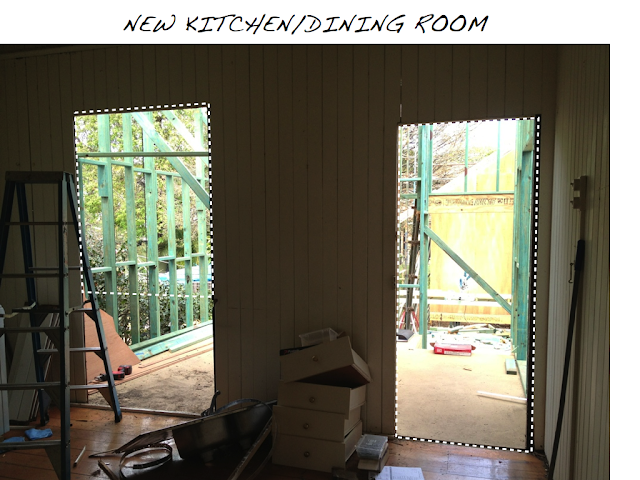 We're at very similar stages in our renovations - new roofs and now the electrical rough in. Look forward to seeing the new roof in place! We kept our original bakelite...and got more bakelite when we added some additional power points...some rooms only had one single power point! I am not sure about removing paint...I would love to know the answer to this as that is one of those jobs that has been on my to do list since we moved in. But you can buy new bakelite at the light shop on Windsor Road in Red Hill...and if you head over there stop in and say hello...we live just down the street! 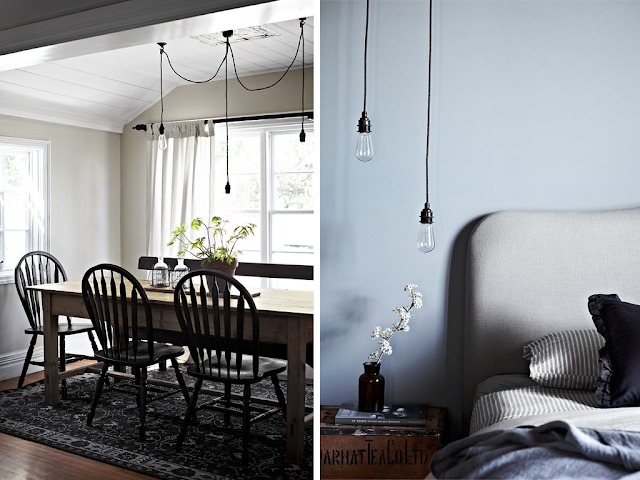 Love the hanging light look as well. 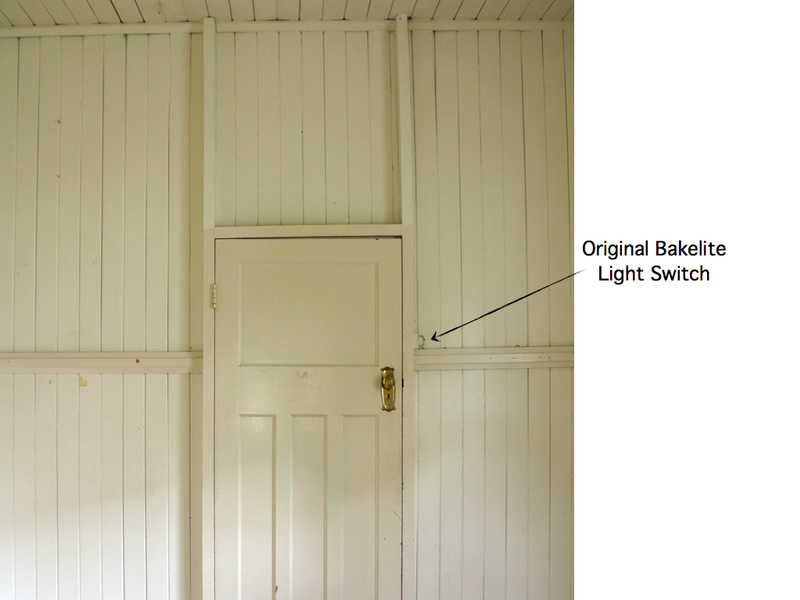 Can you still reuse the old bakelight switches, we were told they were a fire hazard? Maybe that was just an excuse to use new switches. We are still using someone else's refurb, would love to change them one day. Glad to hear you have a ROOF! Would also love to de-green over here (our's is Deep Brunswick Green), need something dark?